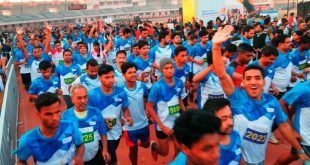 Bhubaneswar: Tata Steel in association with Odisha Sports and Youth Services Department will organize the Tata Steel Bhubaneswar Half Marathon 2017 on January 8, 2017. This annual professional half marathon is organized for the second consecutive year to commemorate National Youth Sports Day. 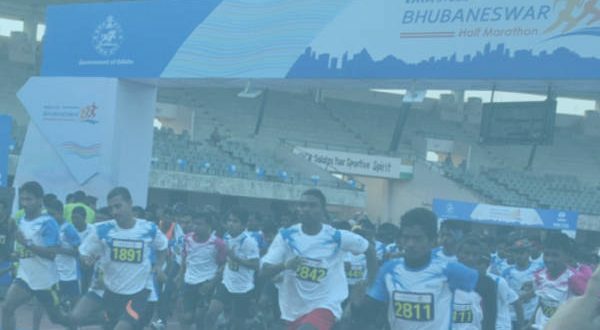 Tata Steel Bhubaneswar Half Marathon will cover a distance of 21.1 km. Starting from Kalinga stadium, the run will pass through Khandagiri Square and end at the stadium, said a release. Apart from the 21.1 km Half Marathon, a 10 km run for colleges and corporate houses, and a 5 Km run for school students (up to class 12) will be organized. The reporting time for all races is 5:30 am, the release said. While offline registrations have begun since December 6, every day from 10 am to 6 pm at the Kalinga Stadium, for online registrations log in to www.tatasteelbbsr-run.com until January 2, 2017. The registration fee for half marathon, 10 km run, and 5 km run is Rs 300, Rs 200 and Rs 100 respectively. A goodies bag, containing a T-shirt, an information leaflet, a BIB number unique to each participant and Radio Frequency Identification (RFID) chip, can be collected from Kalinga Stadium between January 4th to 6th. The marathon is conducted as per international standards equipped with state-of-the-art technology consisting of Timing Mats and its control units, RFID chips, split timing mats on the route, tracking camera, and wi-fi network on the route. Awards worth Rs 9, 14,000 (excluding applicable taxes) will be given to winners in different categories. Winners in the Men’s and Women’s category of the 21.1km run will be given the highest prize money of Rs 1,00,000 each. Both winners and finishers of the Half Marathon will be awarded trophies and medals.